What most of the people do when they need to see a medical specialist? Ask their friends and relatives of course. Do you know any good doctor? Is he good? Was it expensive? Sometimes this questioning leads to nowhere leaving a person being confused. Fortunately, now there are apps that can make the patient’s quest for a doctor easier and less stressful. Not to mention the fact that an app increases the efficiency of the medical institution. If you’re reading this article, you must have already seen the value in the apps for finding doctors. But what must-have functions the app should have to work properly and be in high demand? 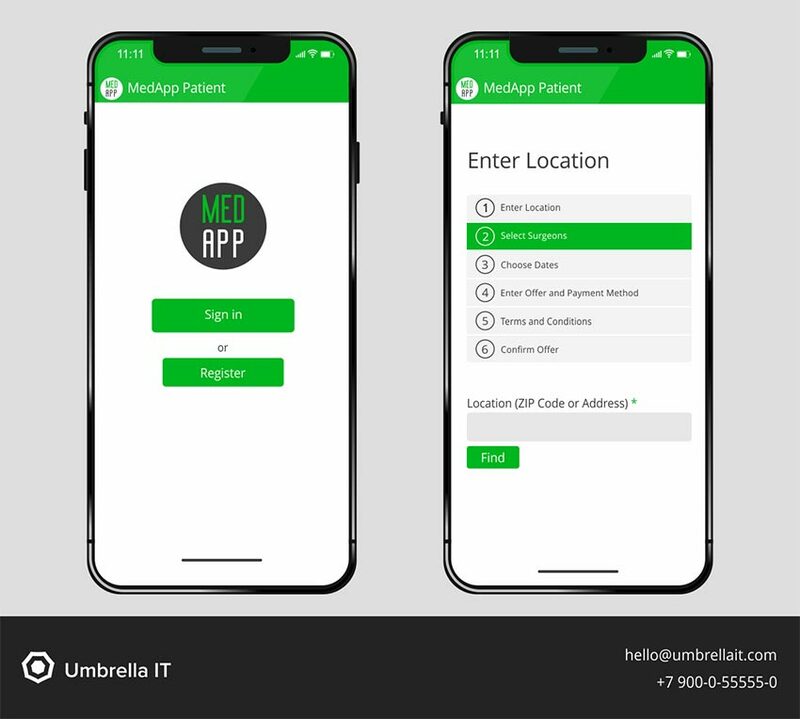 Umbrella IT share the technical must-haves of this kind of apps in five simple steps. What does any app start with? Yes, you’re right it’s the registration form. First of all, you should plan how exactly doctors will register in your app. You can either create the profiles for the doctors manually via an admin panel or you can build an alternative app for the doctors only so they could create and update personal information be themselves. The last option is more expensive but it will pay off over the longer term. Whatever option you choose, a basic personal profile of the doctor should include name, photo, address, business hours, rating and verified credentials. 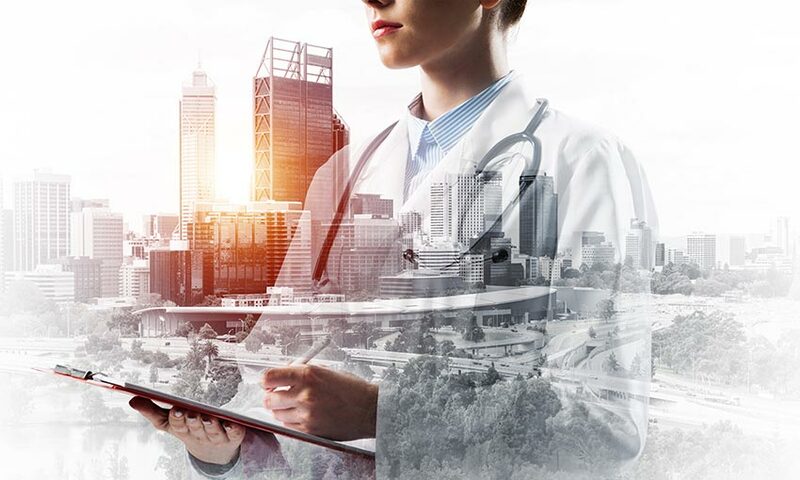 The last point is the most important both ethically – you must be sure that you’re dealing with the certified specialists only, and technically – medical licenses have to be verified algorithmically. The sign-up form for patients is less complicated in comparison with the doctors’. In most cases, you’ll need the basic minimum only. The further personal information such as the allergies to medications, blood type, hereditary diseases, etc. will be discussed later in direct conversation with the doctor. This is obviously the core feature of any application for finding doctors. The main challenge is to make the search system easy, intuitive and with that powerful. User-friendly search system has advanced SEO and filters set including location, experience, certification, date, service cost and many other factors of choice. Patients will appreciate the option to sort the doctors by their rating. But It’s not enough to add star rating feature to every doctor profile. You should encourage users to leave a quick feedback and rate their doctor shortly after the appointment. For instance, you can do this via SMS, email or push reminders. Once a user signed up and found a doctor who fits his criteria the most, it’s time to book an appointment. The developer’s task is to provide an easy-to-use calendar so the patient can choose the schedule of appointment according to his own convenience and doctor’s availability. 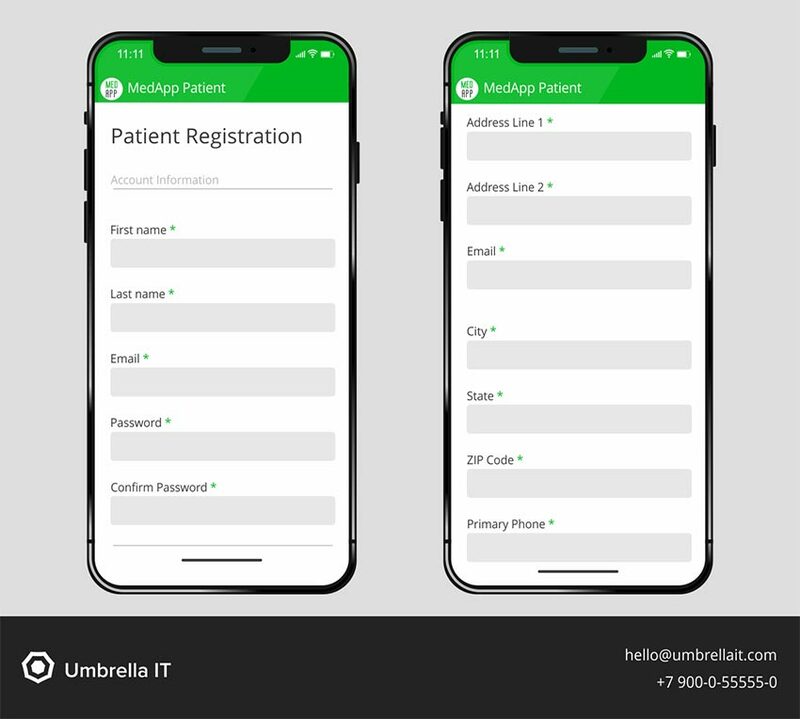 If your app has a wide range of medical services, it may be reasonable to add a form where patients could specify their conditions, symptoms or any other essential information. Ok, the visit is arranged and the patient is a hair’s breadth away from a new healthcare experience. One thing only remained - to pay for a service. The best case scenario for your application is the integration with several payment systems. Provide the patients with few options so they can have a choice: debit or credit cards, PayPal, Venmo or Apple Pay. If you opt for a trusted service provider you don’t have to worry about the data integrity and payments security. 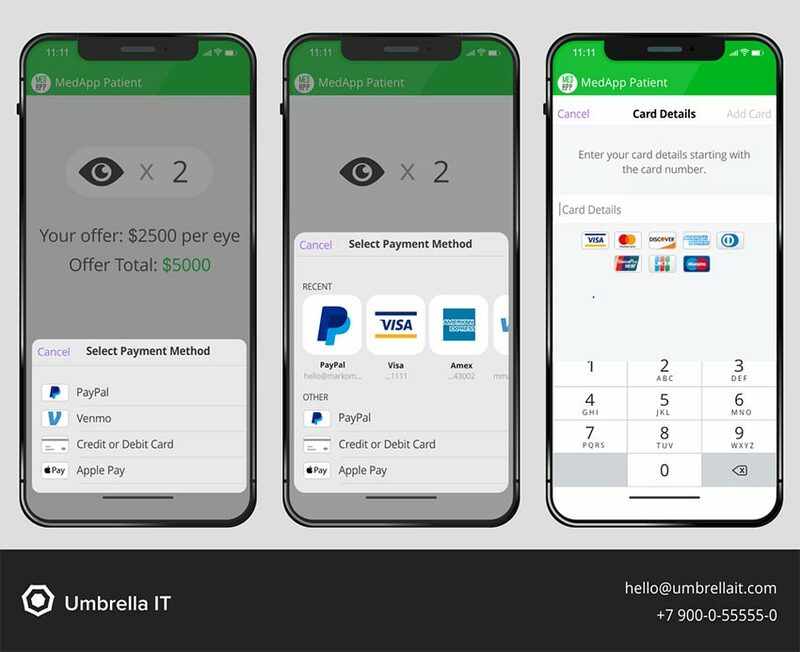 More information on the best ways to collect payments via credit and debit cards is available here on Appfutura in Umbrella IT’s article “Choosing The Right Payment Gateway: Which Boxes Are To Tick”. Your users will also appreciate the option to perform in-app escrow transactions. Such transactions are possible with the help of any escrow service (for example, Escrow.com). These services act as trusted third parties that collect, hold and only disburse transaction when both parties (in our case – Patient and Doctors) are satisfied. Escrow protects the Doctor by verifying the payments and protects the Patient allowing to get a quick refund in case if appointment never takes place. This type of payment can be integrated with your app through service provider’ API. Got interested? Want your own app for finding doctors? Contact Umbrella IT right now to start with its implementation! So How Remote Patient Monitoring is becoming A Standard of Healthcare?